Government's announcement of the purchase of a new passenger vessel has drawn interest from the public regarding the new vessel's specifications and other details. 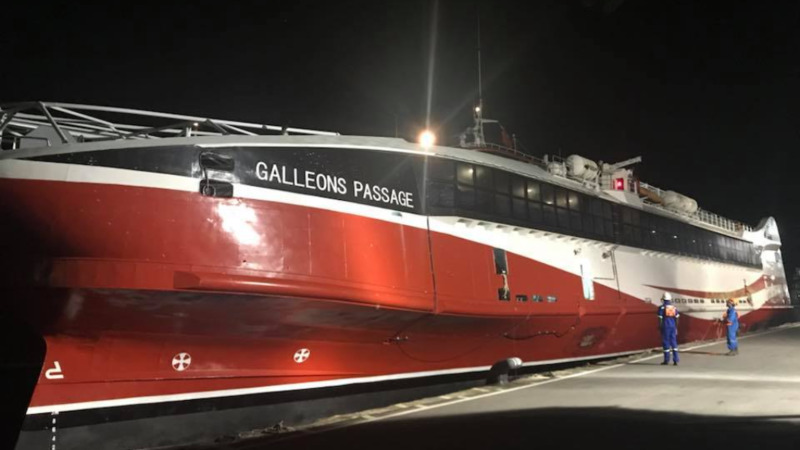 Here are 10 things to note about the new passenger vessel, the Galleon's Passage, as clarified by Finance Minister Colm Imbert at a post-Cabinet media briefing on Thursday, January 18, 2018. 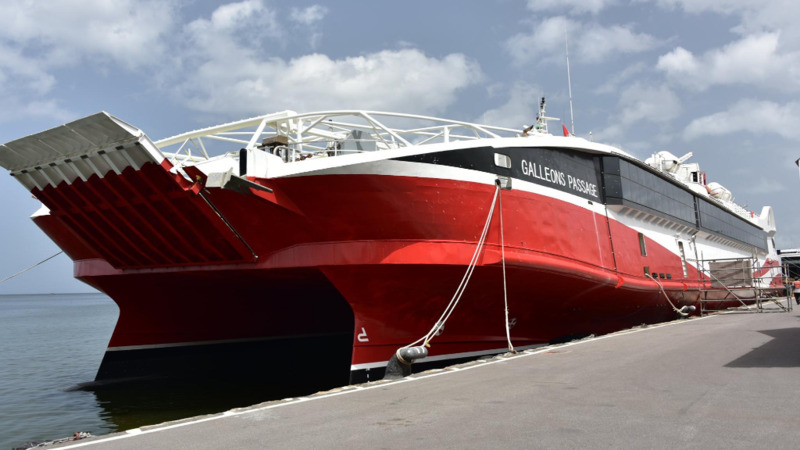 Finance Minister Colm Imbert said the vessel was purchased at a cost of US$17.4 million, which he said is ‘a good price’. He said valuations were done which deemed the price fair and satisfactory. By comparison, the T&T Express was bought for US$20 million, while the T&T Spirit was bought for US$60 million. He added that the overall savings on cost is greater compared to the costs of leasing a vessel. "The cost of this vessel will be covered in two years," he said, adding the engines within the vessel are the same as those used in the water taxis and were built in Germany. He added that it will cost an additional $800,000 to sail the vessel from China to Trinidad and Tobago. 2. How many people/cars can it hold? The new vessel has a passenger capacity of 700 people and will be able to hold up to 100 vehicles. 3. How long is the sailing time? The average sailing time (one-way) is four hours. Imbert compared this to the other fast ferries, the T&T Express and the T&T Spirit, saying that when the vessels were first purchased the average sailing time was approximately 3.5 hours, however since that time, with wear-and-tear on the vessels, their average time is about four hours, so the new vessel’s sailing time would be comparable to that. 4. How/where was the vessel procured? Imbert said in November 2017 tender submissions were received from six companies (Get Away Cruises Limited, Ocean Star Shipping Limited, Bridgemans Services Group LP, Paragon Protection Consultants Limited, Fortune Maritime LLC, Seajets Maritime Company), however the proposals submitted were not satisfactory. He said Cabinet then appointed a committee to do a ‘world-wide search’ for a vessel, comprising himself, Prime Minister Dr Keith Rowley and others. They compiled a list of 10 internationally reputable ship brokers and invited them to submit proposals for a vessel, and also contacted various foreign embassies for assistance. He said during the course of enquiries the committee became aware of a brand new ferry located in China at a shipyard in Nansha, Guangzhou. He said the Sea Transport Corporation of Australia had been constructing a passenger ferry for a client in Venezuela, however, the client was unable to finish paying for the vessel due to economic difficulties. He said the vessel’s specifications were close to what they required and since Sea Transport retained ownership of the vessel they were able to sell the vessel to Government. The new vessel is a brand-new roll on/roll off (ROPAX) twin-hull, catamaran vessel, with an aluminium superstructure comprising a steel hull design. 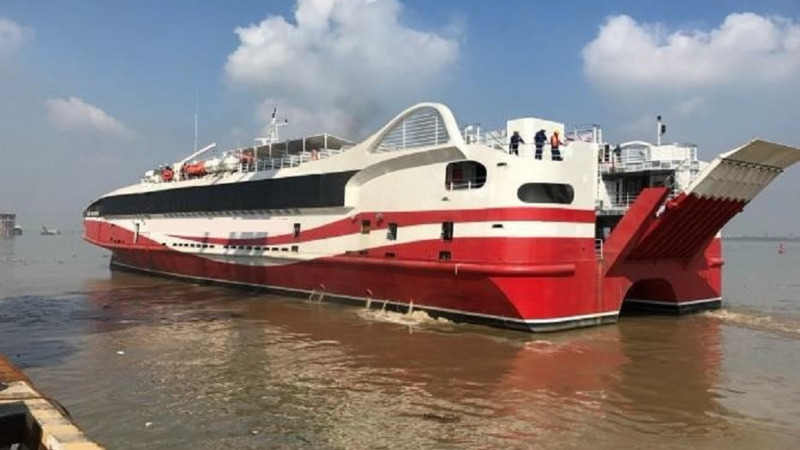 The vessel is 74 metres in length and has a draft of 2.75 metres, which means it can berth anywhere at the Port of Spain harbour including the ferry terminal, without the need for dredging. 6. What checks have been done? Imbert said Lloyd’s Hong Kong was commissioned to do an inspection of the vessel, and the services of Schulte Marine from Australia were also engaged to provide a second ‘independent pair of eyes’. Imbert later said the Galleon's Passage was given a category 1 status by Lloyd's, the highest rating. He said additionally, maritime experts from the University of the Trinidad and Tobago (UTT) also visited the vessel in China and attended sea trials to provide additional inspection and assessment. UK solicitors Haynes and Boone were hired to handle legal matters regarding ship acquisition and purchase. The legal fees cost a total of 10,000 pounds, which Imbert described as a good deal. He added that Government is also hiring business firm Dunn & Bradstreet to run financial checks on all parties involved. 7. Why the name Galleon's Passage? Imbert said the suggested name of the new vessel was the 'Galleon’s Passage’. He said historically, the sea route between Trinidad and Tobago was called the Galleon’s Passage, as shown on old maps of the area. 8. When will it begin service? Government said the vessel will be put into service 'immediately' or by the end of July, after it arrived into the Port of Spain harbour on July 16, 2018. 9. From Toco to Tobago? 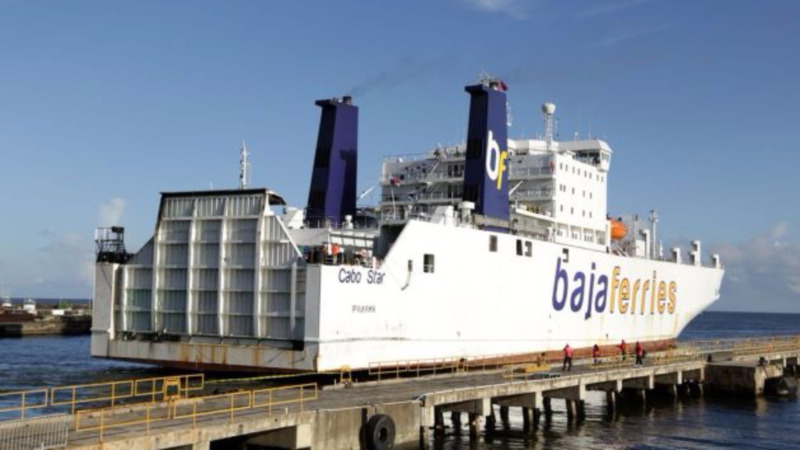 Imbert said that the vessel is meant to assist with the sea bridge while the other passenger vessels are drydocked for repairs, but added that the vessel is ‘perfect’ for the Toco-to-Tobago route as that journey will take only one hour. Imbert said that a third vessel will now be added to the route to accommodate for mandatory dry docking and maintenance which each vessel must undergo in order to have a passenger safety certificate. 10. What about the Super Fast Galicia? As for the Super Fast Galicia, Young says a team of lawyers will soon be commencing legal action against the broker of the Galicia for ‘the state they put the country in’. He said they’re discussing damages the country is entitled to.